365504 leads the 12:52 Ramsgate to Victoria Connex South Eastern service out of Swanley station on 9 August 1997. 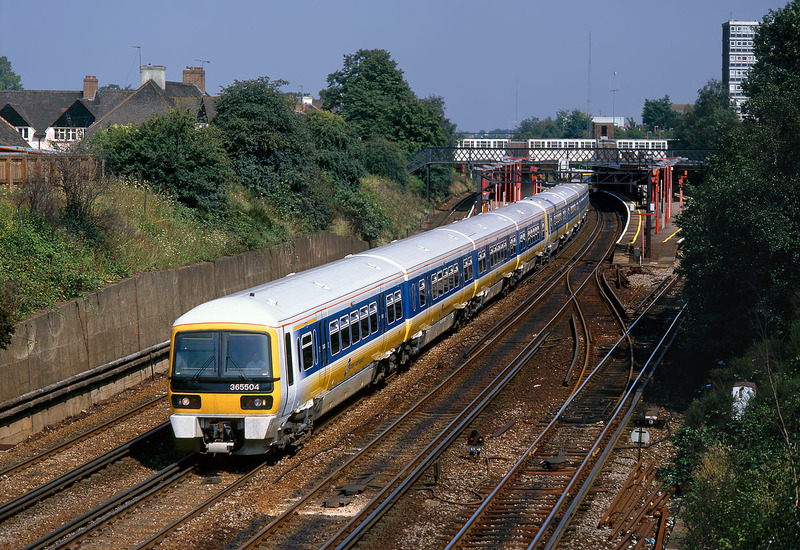 Introduced in 1995, the Class 365s were conceived as a dual voltage design (note the blanked off space for a pantograph on the roof of the third vehicle). However, only 355502 was actually fitted with 25kV collection equipment, and then only for testing purposes.